Warm from the oven…slathered in butter….YES PLEASE. 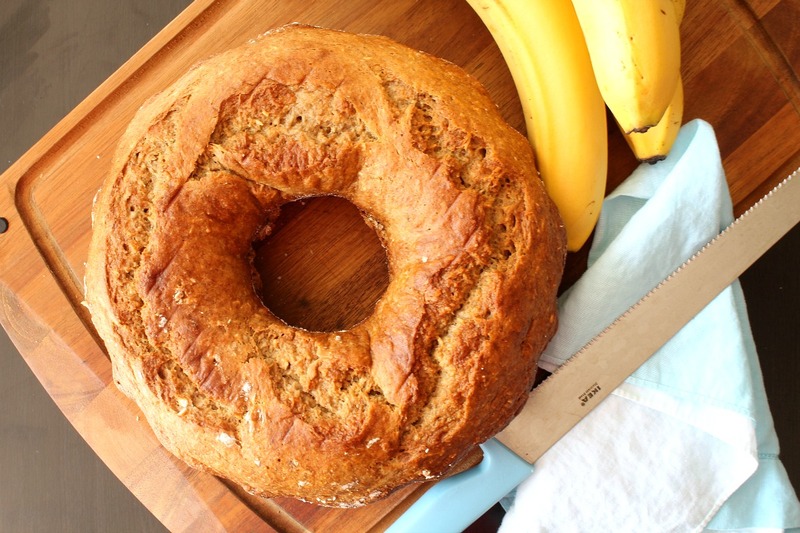 Also, love this fun twist on making banana bread (loaded with tropical coconuty flavors) in a bundt pan. Such a delightful breakfast or snack for you! I do a.l.o.t. of baking to keep up with the hollow legs of my 4 boys, even during these wicked hot summer days and weeks. I get things prepared the night before and then start the oven and bake first thing in the morning…then I don’t have to worry about heating up my kitchen later in the day. My guess is the only thing you’d need to add to your shopping list is the unsweetened flaked coconut…everything else should be in your baking cupboard! This Coconut Banana Bread is a fantastical, tropical-ish summer treat! Heat the oven to 350 F. Grease and flour a bundt pan or loaf pan. In a small bowl, combine the all-purpose flour, wheat flour, baking powder, baking soda, and brown sugar. Stir to combine and set aside. In a large mixing bowl, beat together the bananas, butter, coconut oil, eggs, lemon juice, and vanilla. Slowly stir in the dry mixture. When no dry lumps remain, stir in 1/2 cup of coconut flakes. 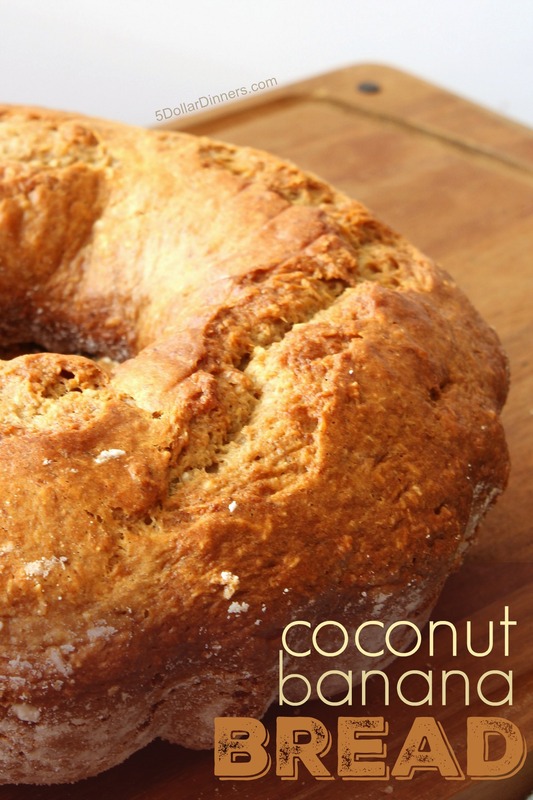 If you’re making the bread in a bundt pan, sprinkle 2 tablespoons of coconut flakes on the bottom of the pan and then pour in the batter over the top. If you’re using a loaf pan, pour the batter in first and then sprinkle the coconut over the top before baking. Bake in the preheated oven for 40 to 50 minutes for a bundt pan and 50 to 60 minutes for a 9×5-inch loaf pan. Cool on a cooling rack for 5 minutes before the bread out onto the rack to cool completely. Serve Coconut Banana Bread, warm or chilled.